Inspired by our friends, Ken & Deanna Willard’s stop for lunch at one of our favorite hotels…LaPosada in Winslow, Arizona. 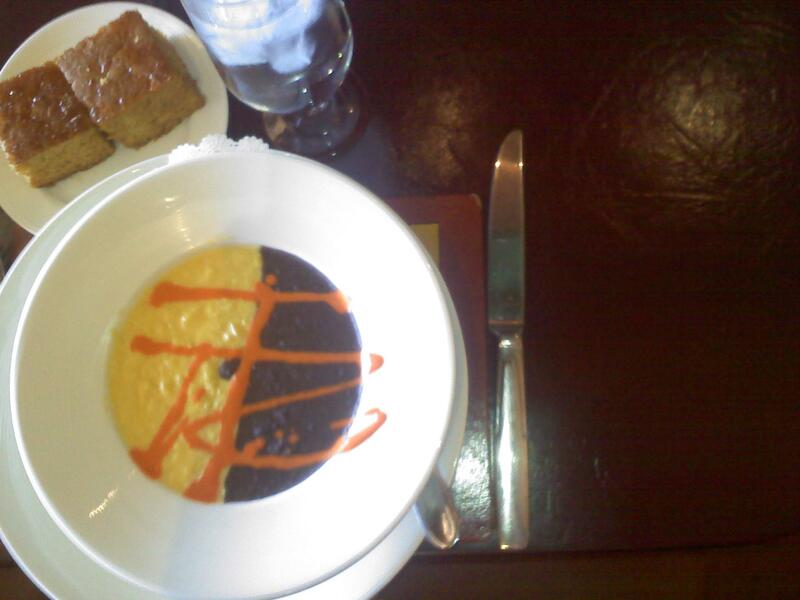 Deanna sent me a photo of her soup (she knows I am a total foodie!) and I just had to find the recipe. We are big fans of traveling Route 66 and have stayed at this gorgeous restored hotel several times on trips out west, but I had never tasted their signature soup. Here is the recipe, which I found online at the Legends of America website. THANK YOU for the inspiration Deanna! Enjoy this taste of the authentic southwest!